Before we get to your pictures, let’s accessorise your camera. You can change the look by adding stickers. Choose from any number of designs, including floral prints, stripes or even diamonds. 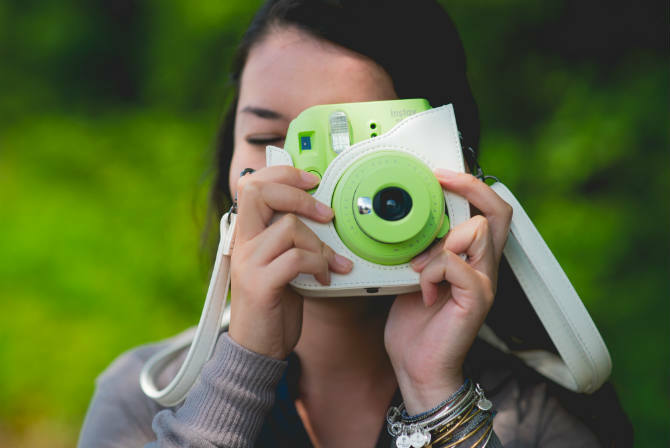 A trendy leather case is available to help you protect your instax at all times. It comes in seven colours and the adjustable shoulder strap is handy. But the best part about this case? You don’t have to take the camera out to take a picture. You can add a little colour to your close-ups by using a colour lens. They come in orange, blue, red and green. You have your picture in-hand, but you’d like to dress it up a bit. Film skin (aka frame stickers) are a great way to do it. 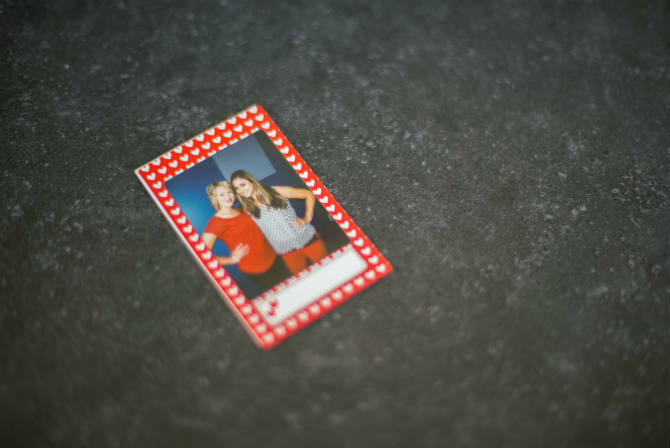 Just peel and stick borders or backings to make your photos really stand out. When you’re done shooting your pictures, you need to organize them and show them off. 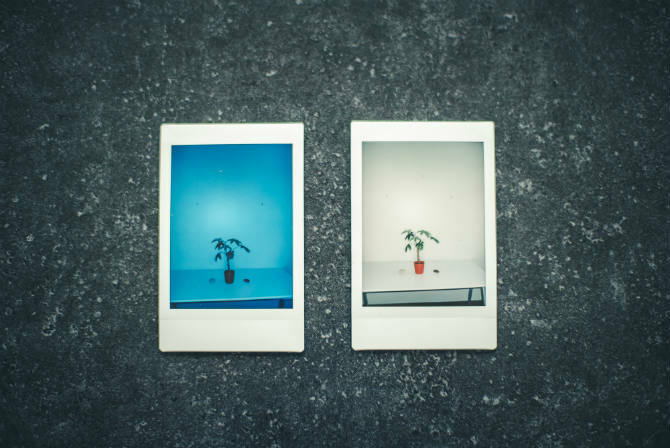 This mini-album is similar to a standard photo album, only smaller. It holds 64 pictures (two per page). 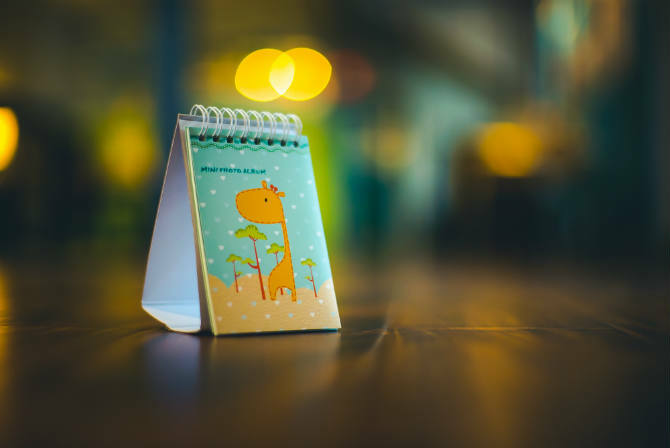 If you want to keep your best shots on your desk, try the mini photo album. 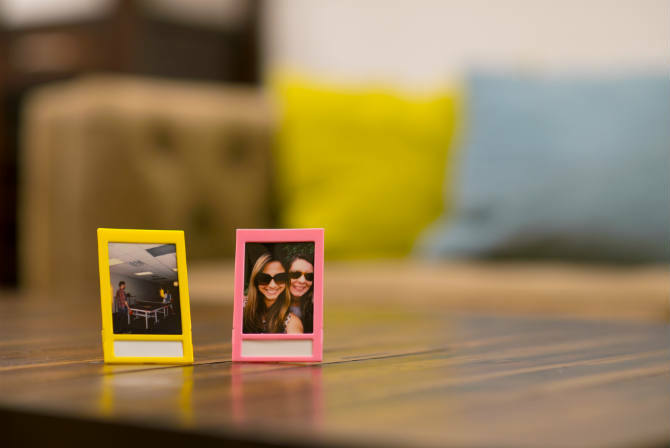 The cardboard bottom opens into a base that allows you to flip through your pics. It holds 10 photos. OK, so it’s not for clothes, but a great way to show off your shots is with the mini clothesline. Just string it up and use the clothespins to display your photos. They’re little, they’re plastic and they’re perfect for your pictures. All you have to do is slide them in the back. Who doesn’t love refrigerator magnets? 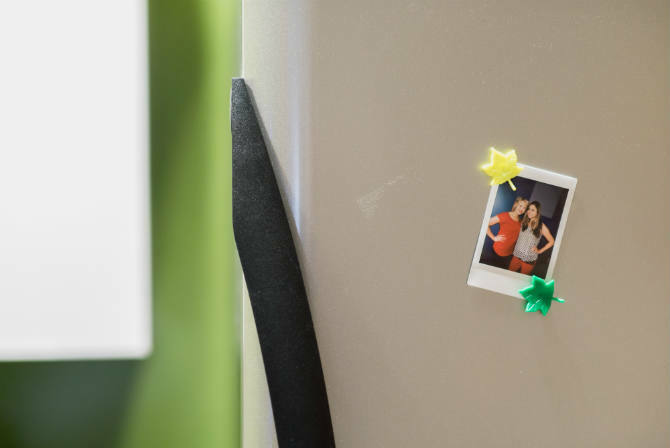 How about refrigerator magnets that double as picture frames? Holla! If you’re not freaking out over the refrigerator frames, maybe you’ll “fall” for the leaf magnets instead. 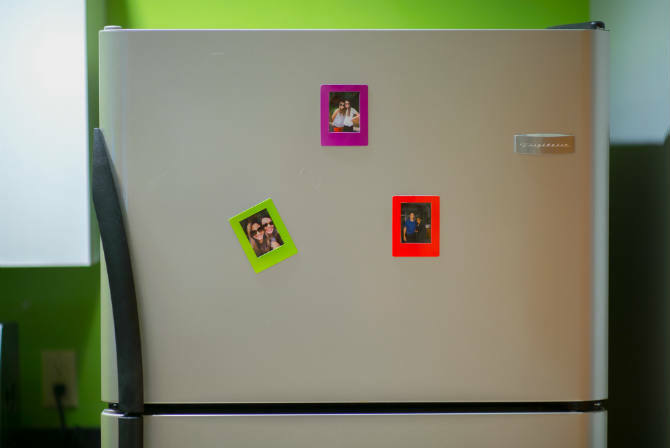 Stick your pics on the fridge with one of these to add a little color to your kitchen. 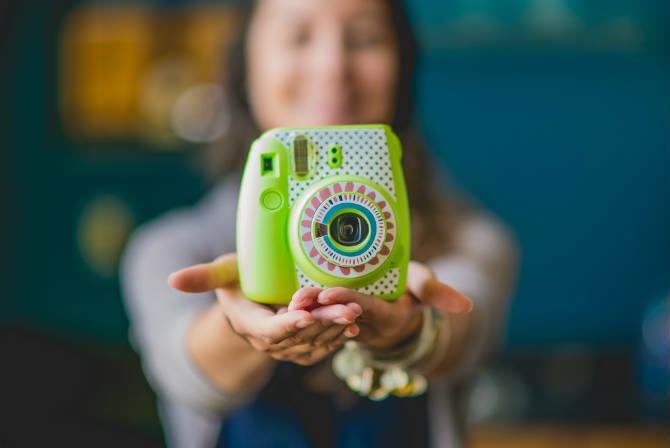 So if you want more than just poppin’ pictures, how about taking them on the coolest-looking camera, too? 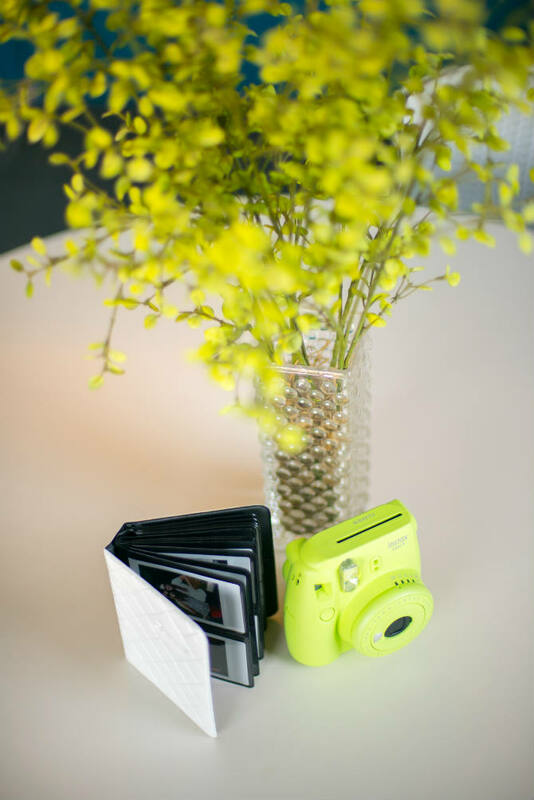 The accessories you add to your instax mini 9 and the pictures it takes will not only make it more fun to take them, but also to show them off to your friends! 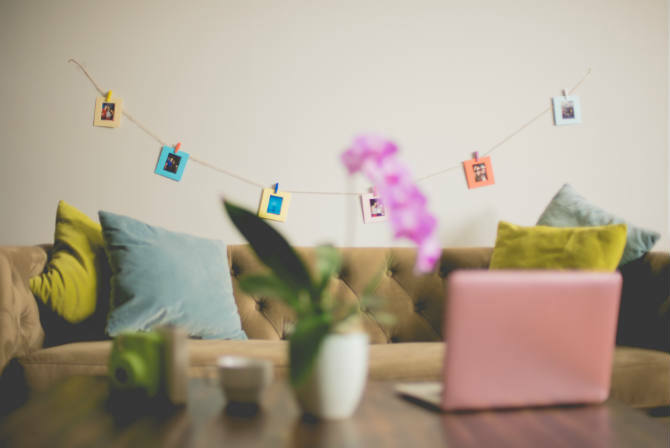 If you’d like more tips for decorating your pics, download our Ultimate Decorator’s Guide.